Staff training and inventory levels. Leslie Panowicz of Panowicz Jewelers in Olympia, WA, asked about the best training materials for staff. 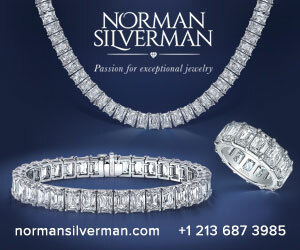 “As your first line of defense you need to have a someone with good diamond grading skills,” said Nick DelRe. “A seasoned diamond grader who has seen lots of diamonds knows the inside of a diamond and can connect to it. This helps in differentiating natural diamonds from the others. “The next step, once you have these people, have them look at any kind of lab grown synthetic in the marketplace. You can get good education but the bottom line is experience,” he said, adding that usually manufacturers of synthetic goods are happy to lend parcel of goods to look at--but some don’t. “Put pressure on those groups to lend for people to have a look,” he advised. GIA has produced a lot of information about synthetics, said Shigley. There are many articles in Gems & Gemology, the Institute’s quarterly scientific journal, which is available at no cost online. The articles, which can be downloaded, feature lots of photographs and diagrams that show the internal features of synthetic diamonds, but like DelRe he advises education and training for the staff. Johnson advised jewelers to ask their synthetic suppliers for training materials as well. When your reputation is on the line. Hauben, the moderator, asked how many jewelers in the audience require their diamond suppliers to be accountable and liable for selling synthetics undisclosed. A very small percentage of those present do—but most realized they need to. “Remember, you are liable if you sell one to a consumer undisclosed,” he cautioned. Disclosure is paramount, reiterated DelRe. “It’s tough to say [to customers] ‘there are a few diamonds in here that might be synthetic and I just can’t tell,’ but at least you’re honest with them. They may well want to buy the piece anyway. 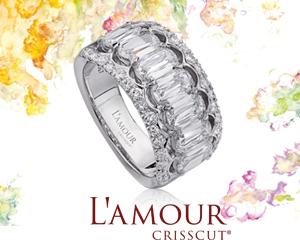 They buy fracture-filled diamonds,” he pointed out. Hedda Schupak, editor of The Centurion Newsletter, recommended jewelers log onto diamondsdogood.com, the consumer-facing website of the Diamond Empowerment Fund, which is filled with content about the global economic benefits—like education, health care, infrastructure, and clean water—that diamond mining companies have brought to surrounding communities. 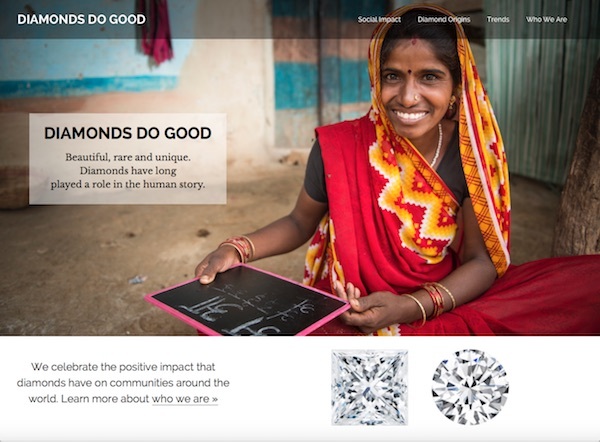 Above: Homepage of diamondsdogood.com. A retailer toolkit is available to help jewelers leverage content from the organization. The kit includes a digital seal as well as a store decal, in-case signage, social media sharing of stories about diamonds doing good, sample press releases and social media posts, and manager and sales associate training guides. For information, contact Nancy Orem Lyman, executive director, nlyman@diamondempowerment.org. Detection. Jeweler Brandon Solomon asked about best practices for spotting synthetic diamonds. “I go back to experience. The more experience the better. It’s a changing landscape,” said DelRe. Hauben pointed out that this can be an opportunity for independent jewelers with gemological training to boost their own reputation as a leader and expert. Absolutely, concurred DelRe, but it takes work. There are instruments available to use [for detection] in a retail setting, but someone needs to familiarize themselves with the instruments and they need to be kept clean and checked, he warned. If not, they can give false positives after a while. Testing machines. That brought up the question of the machines themselves, and which ones to buy. “I saw two or three and I bought both,” said Texas jeweler Susan Eisen. She’s concerned that not only did she end up buying two machines because she didn’t know which was the one she needed more, but also that the prices of the machines she invested thousands in would drop off sharply in a year or two like computers do. Both DelRe and Shigley don’t see that happening with diamond testers. Shigley pointed out that testing instruments for jewelers is a small market, not a huge consumer market like computers flat-screen TVs. “There is a certain cost for components and I don’t see the prices of these things dropping dramatically. The same goes for any sophisticated instruments,” said Shigley. Going back to his earlier point that synthetics fall into three categories, he emphasized that melee is the only one that’s a real issue. Leslie Panowicz asked about the best ratio of natural to synthetic to stock. Editor's note: in the image at top of page, the synthetic diamond is the one on the left. Photo: The New York Times.